These look nice. I'd like to hear how the new mic preamps compare to the DR-100. One good thing, they don't use proprietary batteries, just standard AA. And the recording times look ok regarding battery life. I just wonder why Tascam is against having a mini-jack input on the 44WL? Can anyone chime in with their experience with this recorder? Is the gain knob beneficial over the gain buttons on the dr-40? 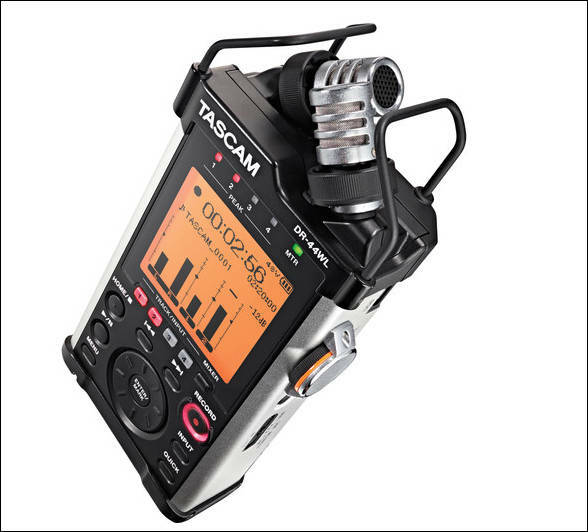 It pops up on sale now and then at even cheaper prices, and I keep on meaning to pick up a Tascam DR-22WL to supplement my Zoom H1 but I keep on having other needs for the cash. But yeah, if you want a handheld recorder (and not a DR60Dmk2/DR70D) then I'd go for one of these two for sure. I recorded this with a combination of the built in microphones and the 1/4" instrument jack with my electric acoustic guitar. I layered the 2 recordings together with a much stronger emphasis on the mic recording. Tweaked in audacity, no noise reduction. What happened with these? 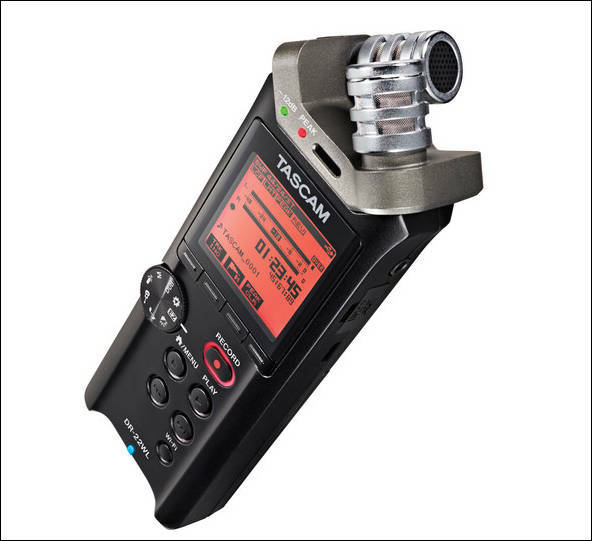 BH and Adorama are listing it as "discontinued"
I'm thinking about selling my H4n and buying a 22WL as i'm rarelly using phantom power and need smaller footprint recorder plus remote app would be very usefull. May be something new coming soon? Btw both recorders sold bad. Hmm. They should focus on a small recorder with XLR and Phantom power (even if just one XLR channel is present over XLR, it would be great). All of the smaller ones with XLR miss on the phantom power aspect - Which is quite annoying if you just want to use a single overhead mic or handheld / mono rec mic for example. Just mix it with a 3.5mm stereo input (with backup rec or good limiters and a 3-channel mode - XLR + Stereo 3.5mm) and it would sell like hot cakes ^^. All of the smaller ones with XLR miss on the phantom power aspect - Which is quite annoying if you just want to use a single overhead mic or handheld / mono rec mic for example. Well, it is because such thing as electricity and physics. As you need more space for preamps if you have switchable phantom power and all thing in general eat much more electricity per minute. Hence why all usable recorders have size restrictions. Maybe the android app having very bad reviews was the cause off their failure? Right now It would be great to have small and cheap remote controlled recorder as personal equipment for one man band scenarios, so the XLR and phantom is not really needed. XLR+phantom is a great to have the feature and was my motivation when I choosed the H4n in the past, but it was used very few times in the last 4 years. When you sums up the gear to really put that to use it the budget you need easily justifies using something better like DR-100mkIII and you end with a dedicated audio kit witch would be better used by a dedicated sound operator and he would hardly need small and light remote controlled recorder. In the other hand, It would be great to put the recorder in a boom tripod, alone or with a high sensitivity boom mic, position it as best as you can and switch it on by your position in the camera, monitoring levels etc. It could be used to control lavs, etc. Or just to have it on top of the camera and actually be able to use the interface. The flexibility of being able to cover various setting with one piece of gear, one person and cheap mics would be great.